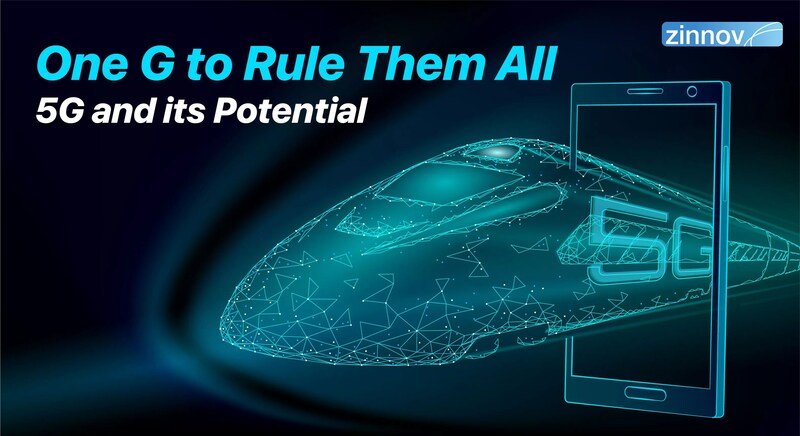 The advent of 5G is the dawn of a new technology revolution that will change the way people, businesses, and devices are connected with each other. With India taking giant strides in its telecom revolution in the last two decades, it is all set to become an early adopter of 5G. India hopes to ride the initial wave of global deployments, unlike when 1G, 2G, or even 3G made their appearance in the Indian market. 2G and 3G arrived on the Indian telecom scene 6-7 years after their global launches, because India was largely a telecom backwater. India missed the bus by a mile and a half in capitalizing these disruptive technologies. However, 4G adoption was marginally better, in that it lagged behind the global launch by just 4 years, thanks to Airtel’s leapfrogging efforts. This was further augmented by Reliance Jio, which has catapulted 4G adoption exponentially in the past 4 years. 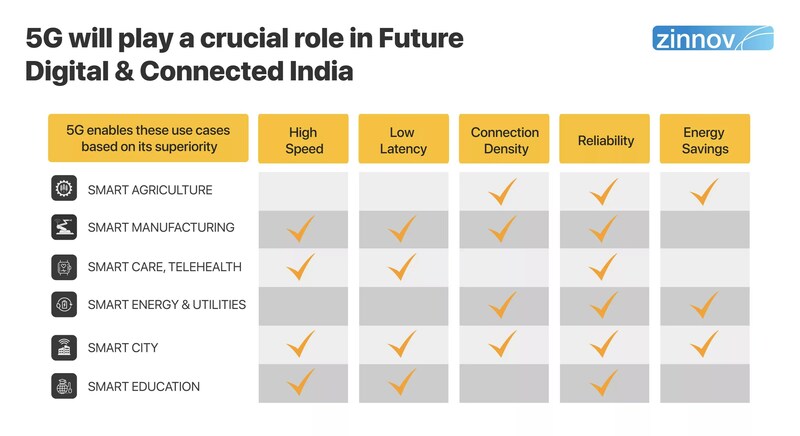 With 5G and its multiple benefits and use cases on the horizon, India isn’t taking any chances. 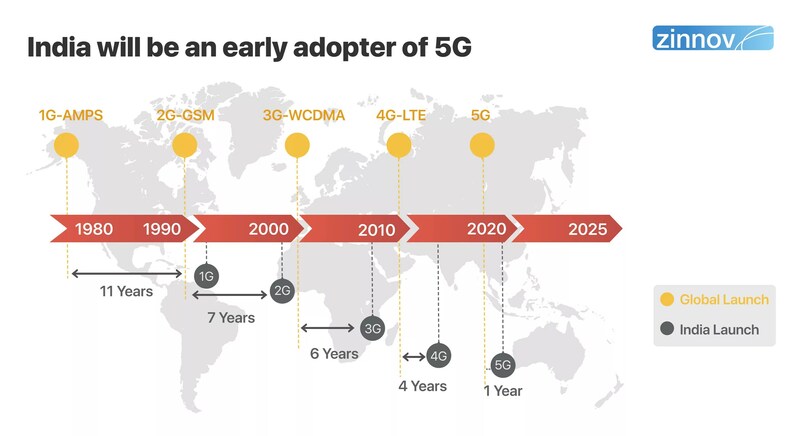 It is hopping on the 5G bandwagon as one of the early adopters. The Government, universities and academic institutions, Global In-house Centers (GICs), telecom operators, start-ups, and IT Services Providers committed to creating the perfect milieu for 5G adoption and scale, India is all set for its next leg of the telecom revolution. The initial 5G deployment focus will be on fiber quality broadband in wireless mode and ultra-HD video transfer. 5G will play a crucial role in making the Digital India dream a reality, as it has the potential to bring to life multiple use cases through its unique connectivity features. Digital India, in a nutshell, is the Government of India initiative to empower the country digitally through improved online infrastructure and increased Internet connectivity. The 5G technology’s main benefits such as high speed, low latency, high connection density, greater reliability, and high energy savings are all conducive to enable Digital India use cases such as smart cities, smart manufacturing, smart agriculture, smart healthcare, to name a few. Smart Agriculture: 5G will help in soil and crop monitoring, precision farming, smart irrigation with climate change alignment, livestock monitoring, and use of agricultural drones. 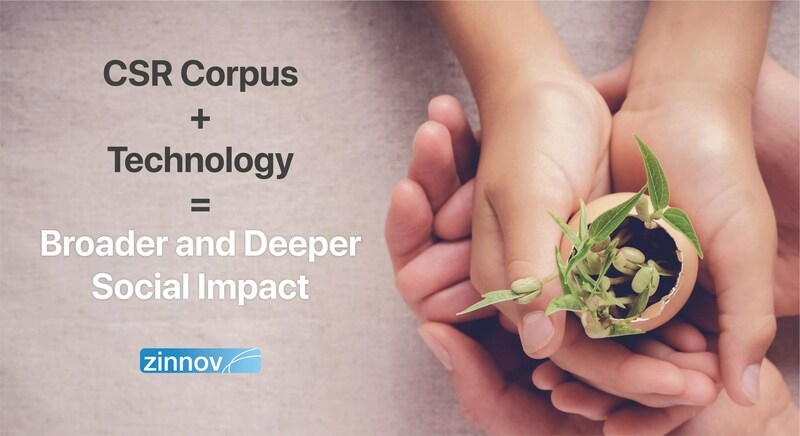 Further, it has the potential to improve yield productivity, bring transparency across the value chain, and ensure smarter support infrastructure. Smart Manufacturing: 5G will provide the network capability and connectivity to keep factories connected, making them smarter and much more efficient. This will play a key role in empowering the Make in India initiative. Smart Care, Telehealth: 5G-enabled technologies have the capability to overhaul the healthcare industry through remote diagnosis, remote patient monitoring, online consultation, centralized records, etc. 5G will be a boost to taking healthcare to the nooks and crannies of rural India. Smart Energy & Utilities: 5G will enable the digitization of the energy sector, thereby enhancing electricity access and improving energy efficiency through smart grid, smart meters, and remote monitoring. Smart Cities: 5G has the capability to power smart living through digitized infrastructure. With connected sensors, super-high bandwidth, and ultra-low latency, 5G can enable video surveillance and analytics, intelligent transport, intelligent traffic management, smart grid, smart meters, smart street lights, monitoring of humidity, temperature, and pollution, etc. Smart Education: 5G can enable smart classrooms and smart laboratories to enhance and augment current educational tools through digitalization. Thanks to the conducive ecosystem in India, it is on the cusp of becoming one of the early adopters of the game-changing 5G technology. Key players from the ecosystem have come together to lay this robust foundation that will pave way for widespread 5G adoption across the country – Government, telecom equipment manufacturers, chipset firms, telecom operators, IT Service Providers, start-ups, and universities. Government of India: The Government is committed to transforming the country digitally; thus, the new policies and projects will ensure investments in infrastructure and phased spectrum auctions. Furthermore, the Bharat-net initiative will enable fiberization, a key aspect for high-speed 5G. Telecom Equipment Manufacturers (TEMs) and Chipset firms: Leading technology, equipment, and chipset vendors are investing in India and developing India-focused applications. Nokia and Ericsson have both plans to manufacture 5G equipment in India, which will then be exported to other markets. Nokia’s Chennai manufacturing facility, which serves over 100 countries, is producing 5G New Radio base stations. Ericsson is planning to produce and export 5G-ready equipment from its Pune facility. Top chipmaker Intel opened another R&D center in Bangalore that focuses on AI, IoT, and 5G communication networks. Qualcomm’s largest R&D center outside US is to be set up in Hyderabad soon, which is expected to focus on 5G cellular technology and other connected devices, including connected cars and IoT. Telecom Operators: Indian telecom operators have started 5G trials. For example, Airtel tested its 5G use case with Huawei, BSNL is running trials in concert with Nokia and Ericsson, while Reliance Jio has launched Narrowband-IoT with Samsung. 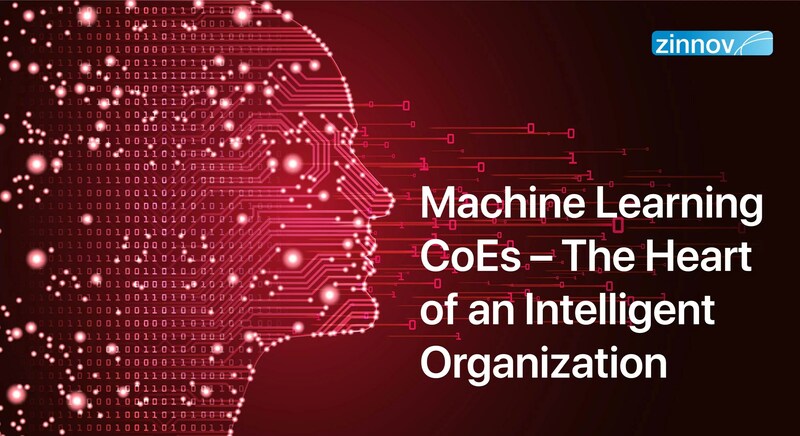 IT Service Providers: Information Technology and Engineering Services Providers such as HCL, TCS, Infosys, Wipro, and Tech Mahindra have invested in technology labs and CoEs to build and offer expertise in SDN, NFV, 5G, and routing to build solutions. These IT SPs have partnered with and are working alongside leading technology providers and operators across products/services lifecycle. Further, they are actively participating in open source communities to forge strategic partnerships. Start-ups: High digital adoption and consumerization are shaping start-ups in the 5G and IoT areas. Mymo Wireless, a fabless semiconductor firm with IPs in 4G and 5G communication radio system designs, and Sterlite Tech, which develops and delivers optical communication products, network, and system integration services are two notable start-ups. Universities: At present, over 200 researchers, students, and teachers from across 5 IIT are working to develop a comprehensive testbed for 5G. 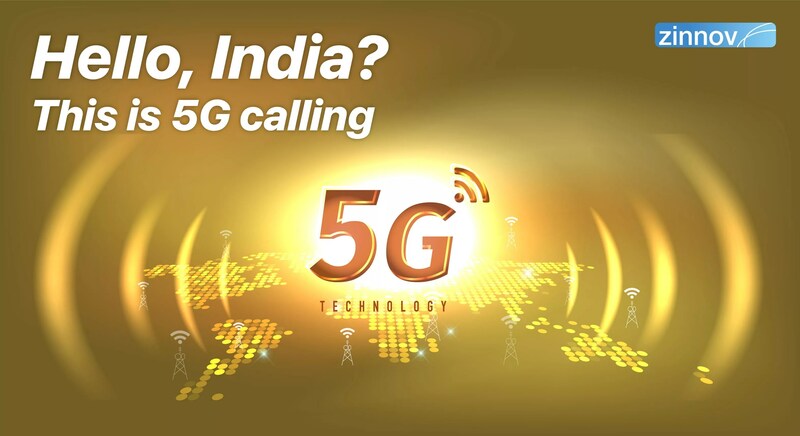 This is expected to be leveraged by technology companies, telecom operators, start-ups, and academicians for R&D purposes and to develop India-focused 5G products and solutions. The INR 300 Cr project is being backed by the Department of Telecom, and is termed the biggest collaborative effort between these institutes focused on one technology, till date. 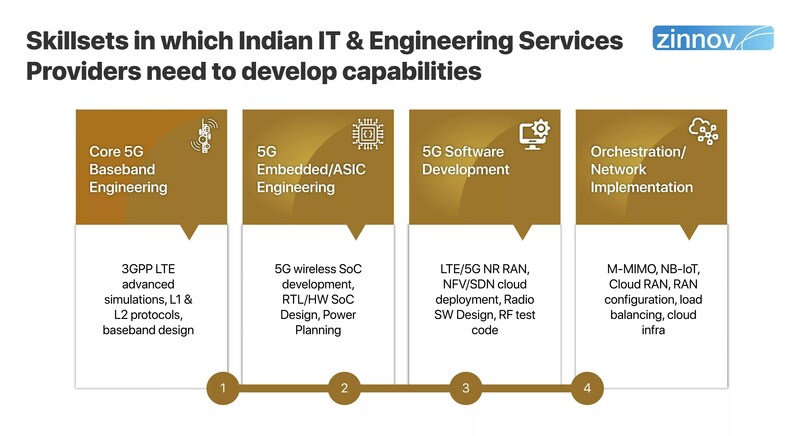 Given these factors and other key developments in India and across the globe, 5G has become an interesting prospect for Indian IT and Engineering SPs to invest in. Although the spend has been kept in check by most telecom firms in the last 2-3 years, the planned 5G rollouts have loosened their purse strings. This presents a huge opportunity for Indian IT and Engineering Service Providers. SPs can potentially partner with other key ecosystem players for technology R&D, trials, 5G network design and deployment, legacy services, and integration services. 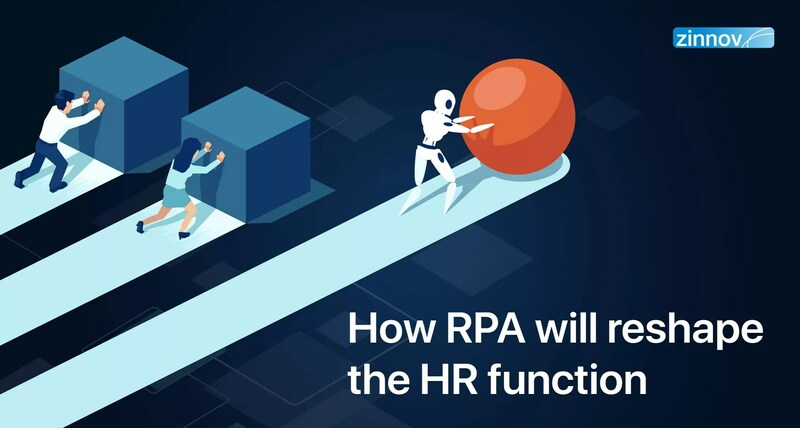 SPs can work with network equipment providers to assist in a shift towards virtualization, cloud migration, orchestration and control of network functionalities. SPs can team up with semiconductor firms for VLSI engineering and services for 5G modems, embedded software, and derivative platforms. SPs can tie up with leading universities in India for 5G research as well as partner with the start-up ecosystem on developing products and solutions for 5G. These skillsets will definitely enable SPs to tap into the opportunities outlined above. A case in point is Altran. A few days ago, Altran won a $65 Mn deal to provide VLSI services for 5G modem chipsets for a leading semiconductor company, over the next 3 years. India is well positioned to adopt 5G and all that the technology promises to deliver. 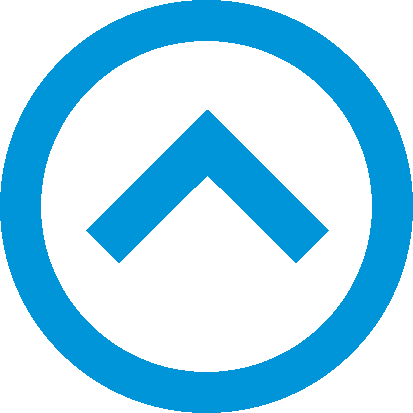 The foundation has been laid with key ecosystem players coming together to create a conducive environment. India is all set to capitalize on this much-awaited high speed, game-changing technology and completely transform the telecom sector. 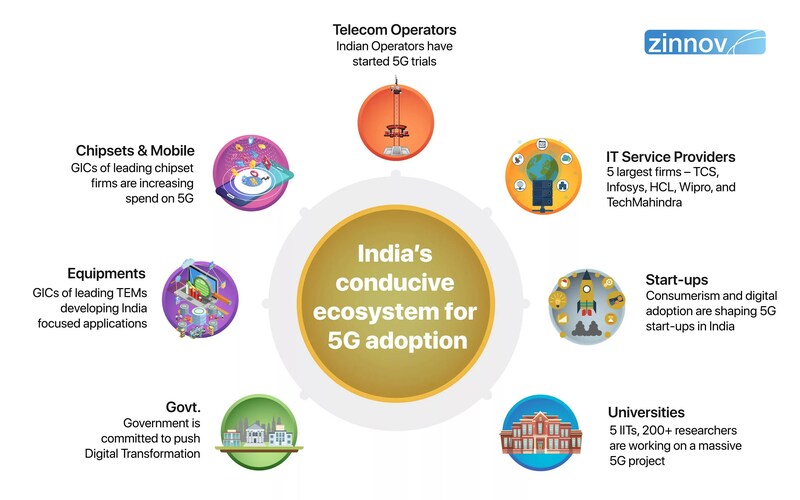 Although it remains to be seen how the Indian general elections will impact 5G adoption, there is no denying that India will be one of the early adopters of it.